A sci-fi thriller in which nefarious forces plan to sink the world into darkness. Capt. 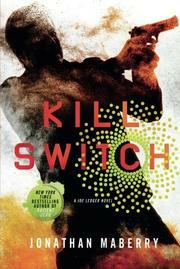 Joe Ledger (Assassin's Code, 2012), who runs the Special Projects Office for Uncle Sam, is sent on no notice to Antarctica to investigate mysterious electromagnetic pulses and a device code-named Kill Switch. In another thread, Prospero Bell is an 11-year-old father-hating genius who has a perfect eidetic memory and says “I’m getting smarter all the time.” Dad returns the sentiment: “That little freak is nobody’s son.” Indeed, the adopted lad was born in a laboratory and dreams that he must build a God Machine. A code to running such a device may be hidden in ancient prayers and books containing the Unlearnable Truths that have been partly destroyed by “warrior priests.” Throughout his teenage years he creates the gizmo, a particle accelerator that opens a doorway to another dimension. Meanwhile, Ledger must deal with numerous disasters: a 737 crashes into a Marriott and kills at least 5,000 people, lights go out at a presidential debate, someone’s U2 mix stops on his iPod, and Ledger’s team faces “giant violent albino penguins.” Ledger and others hallucinate (no, really), and a dead man speaks. Much of this mayhem is the fault of the Islamic State group, especially the Mullah of the Black Tent, who plans to throw the infidels “into a world of darkness.” His dastardly plan is plausible because someone has stolen Kill Switch from a secret lab and shipped it to the Islamic State group. The thing is a “portable electrical null field generator,” i.e. a nasty EMP weapon. F-bombs fly, blood flows, and everyone screams at least once. In the midst of it all, Prospero says that “Evil is just a word,” and morals are whatever one can enforce. One character says that some books “confine the power” and will explode if opened. This book isn’t one of them. At almost 500 pages, it’s bloated and juvenile.